While everyone is attempting to solve the last "Where is it?" mystery, I wanted to throw another one out there for you to think on. After all, that is what being snowed is great for, to engage in silly activities in order to keep your brain from going soft (or softer as the case may be). Take a look at the house on the left. Winnie Tillyer wrote on the back of the photograph, " I knew this house as Luiss (sic) Hutchin's...". The photograph was taken in May 1938, four months before the devastating hurricane that took down hundreds and hundreds of trees in town, many of them in the photograph, and caused horrible flooding throughout the area. Today, the home is essentially unchanged, except for those spruce trees in the front of the house, they are just much taller. 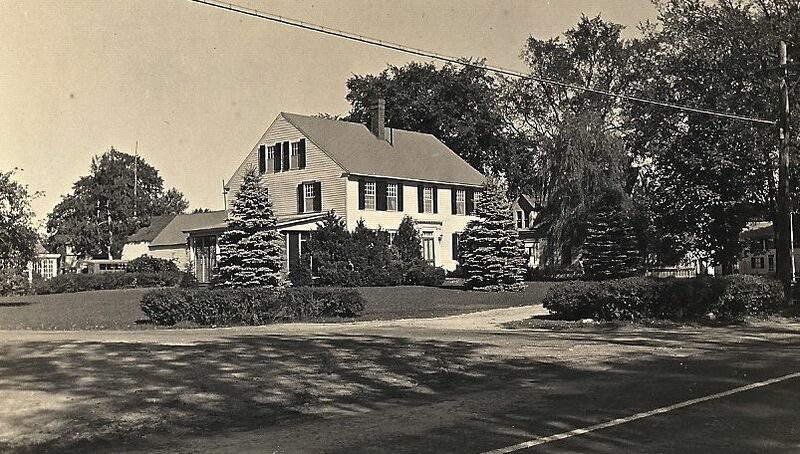 "Sure looks like the "Robinson" house at the corner of Charlton St. and 131. I have two more "mystery houses", and will post them tomorrow. As with all of the houses, with the exception of this last one, I haven't a clue as to where they are. Any help in identifying them would be appreciated. 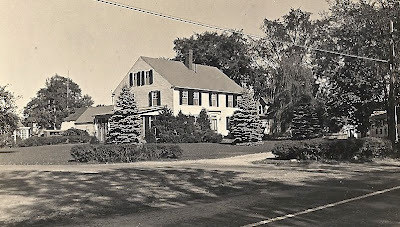 Sure looks like the "Robinson" house at the corner of Charlton St. and 131. You are right! Even with the large trees in front of the house today you were able to solve it. Now, check out the photos of the new mystery two houses tomorrow. Those are a bit tougher, and I have no clue as to where they are. Speaking Of Sidewalks; Is Sturbridge Next? Are they Still Standing? Where?